Add a new room to your project. Once you've calibrated your device with the floor, press the Rectangle button on the right of the screen to enter Rectangle Mode. 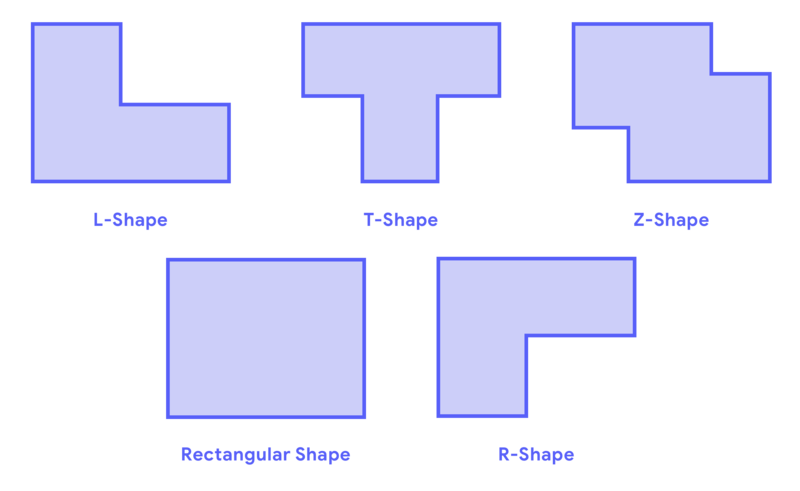 Choose a longer wall to create the base of your rectangle. Place a point at the base of each corner of the wall. Once you've placed your second point, the rectangle will begin to take shape. Pan your device to the opposite end of the room until your rectangle is aligned with the opposing wall. Click the capture button to lock in place. Congrats! Your perimeter is all set. Simply proceed with the rest of the room creation process. Once you've created your initial rectangle, you can add additional perimeter points create segments ("breaks") and further extend the room. Hover over the new segment with reticle and press / hold main capture button to pickup and adjust placement. Continue to hold capture button and pan device to push / pull segment inward or outward from your previously created rectangle. Once re-positioned, let go of main capture button to lock in placement. This action adjusts your room's perimeter. You can continue to add additional points & move segments as you see fit. Once you have finished adjusting, proceed through the room creation process. Rectangle mode is also great when measuring a cluttered room. Here is an example of a cluttered bathroom. Create a rectangle on the floor with the axis aligned with a wall. Push and pull wall segments to align with the walls. Create a new segment as needed.